In this moving memoir a young man comes of age in an age of violence, brutality, and war. Recounting his experiences during the Japanese occupation of the Dutch East Indies, this account brings to life the shocking day-to-day conditions in a Japanese labor camp and provides an intimate look at the collapse of Dutch colonial rule.As a boy growing up on the island of Java, John Stutterheim spent hours exploring his exotic surroundings, taking walks with his younger brother and dachshund along winding jungle roads. His father, a government accountant, would grumble at the pro-German newspaper and from time to time entertain the family with his singing. It was a fairly typical life for a colonial family in the Dutch East Indies, and a peaceful and happy childhood for young John. But at the age of 14 it would all be irrevocably shattered by the Japanese invasion.With the surrender of Java in 1942, John's father was taken prisoner. For over three years the family would not know if he was alive or dead. Soon thereafter, John, his younger brother, and his mother were imprisoned. A year later he and his brother were moved to a forced labor camp for boys, where they toiled under the fierce sun while disease and starvation slowly took their toll, all the while suspecting they would soon be killed.Throughout all of these travails, John kept a secret diary hidden in his handmade mattress, and his memories now offer a unique perspective on an often overlooked episode of World War II. What emerges is a compelling story of a young man caught up in the machinations of a global war-struggling to survive in the face of horrible brutality, struggling to care for his disease-wracked brother, and struggling to put his family back together. It is a story that must not be forgotten. Review by COFEPOW contributor, Boudewyn van Oort, BSC BA(Oxon)The captioned book recently came to my attention. It is very well written, very detailed and includes photographs, sketches and maps, and , most important of all, is based on a diary secretly kept by the author, who was 14 when the war started in Java and 17 when it ended. Of particular interest is the time this man spent in a boy's prison camp where these youngsters, some even under ten years old , were treated as slave labour. With almost no adult supervision aside from the Japanese guards and their Indonesian Heiho helpers, these boys endured a deprived existence that is impossible to imagine. Their mortality rate was very high. Based on the sample of eight survivors of those camps that I happen to have encountered, fifty percent were never able to be integrated into a normal postwar life. They struggled with depression, alcoholism and were entirely dependent on wives and family to support them. Two of them, Stutterheim being one , had the moral stamina and psychological strength to lead, after a struggle catching up with education, a normal life. The two others managed to function intermittently and barely earned a living . This was a terrible legacy and a story that has received scant attention. 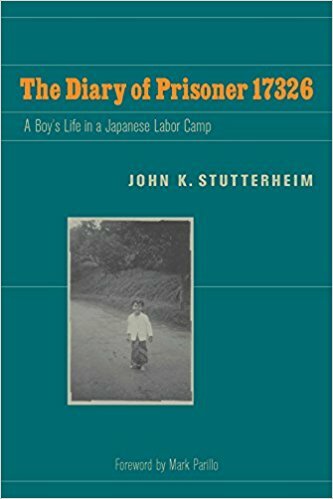 JOHN K. STUTTERHEIM, M.D., born in the Dutch East Indies, survived Japanese prison camps as a boy, moved to the Netherlands, and became a family physician in the United States. He is now retired. MARK PARILLO teaches history at Kansas State University, where he specializes in Japanese and military history.